UPDATE: Florida City Gas has just capped the gas leak as of 5:30 p.m. and South Patrick Drive has re-opened. 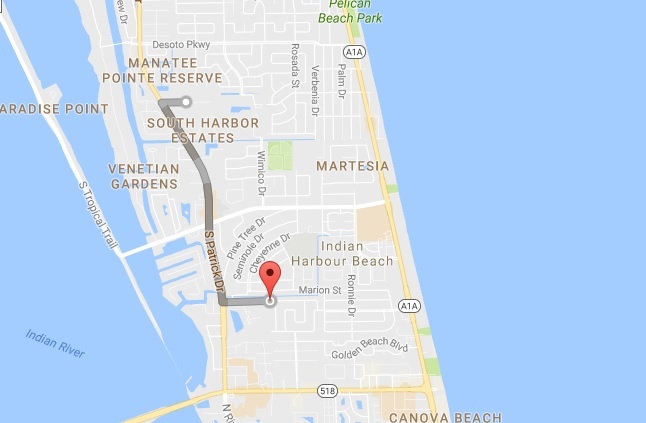 INDIAN HARBOUR BEACH, Florida - A gas leak has caused a portion of South Patrick Drive (State Road 513) to be closed in Indian Harbour Beach, Florida. At approximately 2:55 p.m., a construction crew struck an underground gas line line near the Doubles Beachside Restaurant. According to the Florida Department of Environmental protection,the release is still in progress and a voluntary evacuation has been issued for the surrounding businesses and those who chose not to evacuate have been instructed to remain inside. As of 4:15 p.m., northbound South Patrick Drive is closed at Yacht Club Boulevard. Southbound South Patrick Drive is closed at Tomahawk Drive.